Sberbank and MasterCard launched Apple Pay system (Apple Corporation payment system) on the Russian market, according to Sberbank statement published on Oct. 4 on its official website. "Sberbank clients, holders of Mastercard cards, can now use Apple Pay, which will let them make secure and convenient contactless and online payments," the press release said. 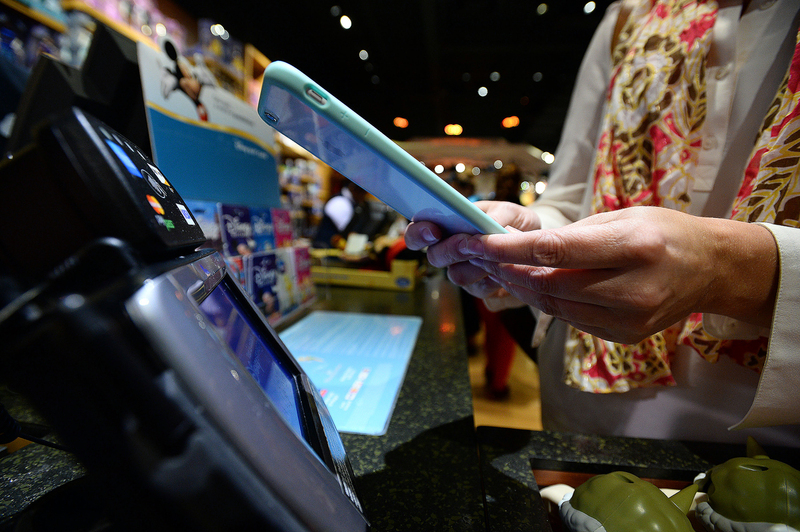 "Apple Pay is driving the popularization of contactless payments in Russia and globally. Many of Sberbank clients actively use new technologies, and an increasing number of them will prefer cash-free and contactless payment using their smartphones," Alexander Torbakhov, Deputy Chairman of the Executive Board of Sberbank, commented on the news. According to Sberbank, Apple Pay can be easily set up in the Sberbank Online mobile application, which is familiar to all Sberbank cardholders. Users can enjoy contactless payment service while continuing to receive all the benefits from using their credit and debit cards. Apple Pay system was introduced by Apple Inc. in September 2014. The payment system allows purchases using NFC (Near Field Communication) technology on smartphones, which can be used for payment in actual stores by holding an iPhone near the reader or within apps. In the fall 2015, Apple’s South Korean competitor - Samsung - also announced the launch of its own NFC payment system called Samsung Pay.